We have reinforced our environmental and corporate social responsibility program since the start of the millennium. In 2002, for example, we were the second Japanese company to participate in the Global Compact of the United Nations. In 2003, our efforts earned us the World Environment Center Gold Medal for International Corporate Achievement in Sustainable Development, making us the first enterprise from Asia to receive such an honor. 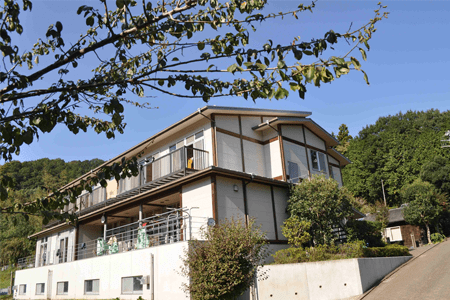 Construction of Ohmori Office completed as developmental base for imaging technology. Ricoh awarded the Keidanren Chairman's Prize at the 9th Global Environmental Awards. The Ricoh Group Environmental Report 1999 wins Best Report. Ricoh acquires Lanier Worldwide, Inc. (headquarters: Atlanta), an OA equipment marketing company in the US. Ricoh receives Minister of Economy, Trade and Industry Award for the advanced environmental friendliness of the "imagio Neo 350 series". The imagio Neo 350 series, featuring Ricoh’s energy-saving technology called QSU*1, won the Energy Conservation Grand Prize*2 for the first time in this sector. News of the award stirred users’ interest in the energy efficiency of this digital copier, generating great momentum to the development and widespread use of environmentally friendly models. *1 QSU stands for “quick start-up,” which is Ricoh’s proprietary technology that offers both energy conservation and user friendliness. QSU realizes minimal power consumption when the copier is in the standby mode and quick recovery when the user wants to photocopy. *2 The Minister of Economy, Trade and Industry Prize in the 11th Energy Conservation Grand Prize. 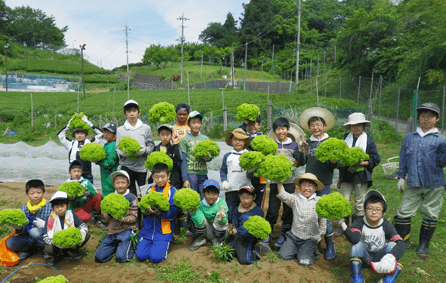 The Ichimura Nature School is an NPO for youth development founded in commemoration of the 100th anniversary of the birth of Kiyoshi Ichimura, the founder of Ricoh and the Ricoh San-ai Group. It was established in Matsuda-machi, a town in the Ashigarakami District of Kanagawa Prefecture in October 2001. 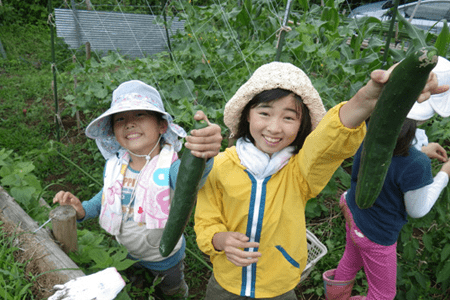 Based on the concept of “learning how to live from Mother Nature,” the project offers farming and other programs for children to provide them with opportunities to develop leadership skills and a self-reliant attitude. Ricoh announces its participation in the UN Global Compact. Ricoh ranked first in the world for corporate responsibility rating by Oekom Research AG of Germany. Ricoh China Co., Ltd. established in Shanghai as a regional Headquarters in China. President Sakurai honored with a CBE (Commander of the British Empire) from the British government. Ricoh Group receives Gold Medal from World Environment Center (WEC). Lanier Worldwide, Inc. of the US (a Ricoh company) receives first J.D. Power and Associates Award for office automation for two consecutive years. Ricoh Software Research Center (Beijing) Co.,Ltd. established. Shanghai Ricoh Digital Equipment Co.,Ltd. established. 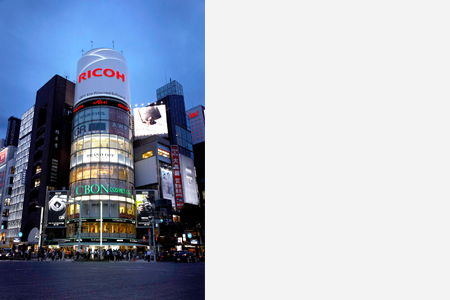 Ricoh acquires Hitachi Printing Solutions, Ltd. (renamed Ricoh Printing Systems, Ltd.) in a first step toward entering the production printing business. Ricoh Software Inc., consolidating five domestic software R&D subsidiaries,established. Ricoh given a AAA environmental rating by Tohmatsu Evaluation and Certification Organization. Ricoh Global Services was established in all five regions to support our Global Major Account customers. 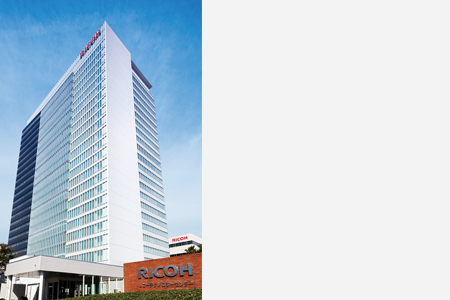 Ricoh Technology Center established in Ebina, Kanagawa Prefecture, Japan. Ricoh Technology Center was established to consolidate development functions for imaging and solutions products (MFPs, printers, etc.) that were formerly located in separate sites in Japan, including the Ohmori Plant (Tokyo) and Atsugi Plant (Kanagawa Prefecture), into a single center. The organizational integration was planned to streamline activities in a range of development areas, from element technology and production technology to product assessment, spurring cross-divisional, cross-functional activities, thereby improving development efficiency. 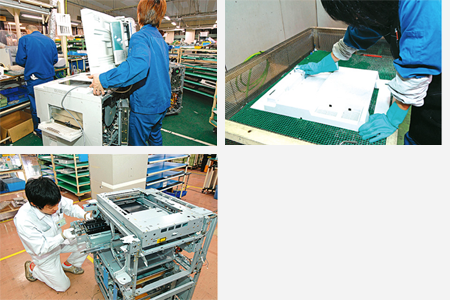 Construction of mass-production plant for polymerized toner,"PxP toner", completed at Numazu, Shizuoka Prefecture, Japan. PxP toner is a polymerized toner with polyester developed by Ricoh, applying its original ester elongation method. While offering higher-definition quality achieved by fine, uniform and highly shape-controllable particles, this toner allows for lower-temperature fixing, thereby contributing to energy-saving machine operations. In addition, CO2 emissions stemming from the manufacturing process can be reduced to around 65% of those of conventional ground toners. To start mass production of the PxP toner, a new plant was constructed on the premises of our Numazu Plant in Shizuoka Prefecture. “imagio Toner Type C2” wins the Ecology Design Prize from the Ministry of Economy,Trade and Industry, awarded to designs that protect the environment and promote effective resource use. Ricoh signs an Official Partner Agreement with the National Museum of Emerging Science and Innovation, Janan. Major new billboard lights up a top the San-ai Dream Center, Ginza, Tokyo. San-ai Dream Center is a commercial facility which was completed in January 1963. The project was organized by Kiyoshi Ichimura, the founder of Ricoh, who wished to create a symbolic structure of the Ricoh San-ai Group. In 2006, a new billboard was installed on top of the building in celebration of the 70th anniversary of Ricoh’s founding. The lighting installation was designed to present a vibrant image of new sprouts shooting and flower buds opening under the theme of “birth and growth.” This was replaced in September 2014 by the present 100% natural energy powered billboard. Ricoh Europe B.V. concludes a Share Purchase Agreement with Danka Business Systems PLC. “Technology Portal”, a new showroom, opens in New York City. The “imagio MP C4500it/3500it”, digital color multifunction printer, obtains Color Universal Disign Certification. Shiro Kondo appointed President and CEO. Masamitsu Sakurai becomes Chairman. Ricoh Corporation, USA, renamed “Ricoh Americas Corporation”. Masamitsu Sakurai appointed Chairman of the KEIZAIDOYUKAI (Japan Association of Corporate Excutives). Ricoh becomes the title sponsor for “the Women's British Open”, the international golf tournament. 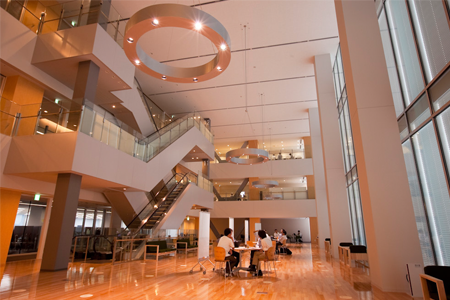 Construction of the Design and Development Center completed in Ikeda, Osaka. Masamitsu Sakurai receives the “legion d'honneur” from the French government. 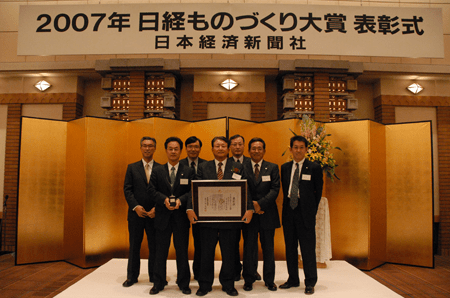 Ricoh Technology Center wins the Nikkei Manufacturing Award, first in the Ricoh Group. 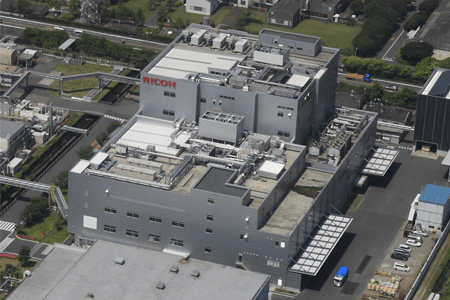 Ricoh Technology Center in Ebina, Kanagawa Prefecture, received the fourth Nikkei Manufacturing Award hosted by The Nikkei, a well-known financial daily in Japan. The Nikkei Manufacturing Award recognizes excellent factories, R&D centers as well as programs and systems adopted in these facilities. The Ricoh Technology Center received the award for successful initiatives in development process reforms that increased efficiency by consolidating formerly separate divisions for development, design and pre-production into a single organization to encourage cross-functional activities. All domestic sales companies in Japan amalgamated. Ricoh Elemex Corporation becomes a wholly owned subsidiary following an exchange of shares. Ricoh enters the color Print-On-Demand market and introduces a color producton printer,“the Ricoh Pro C900”. 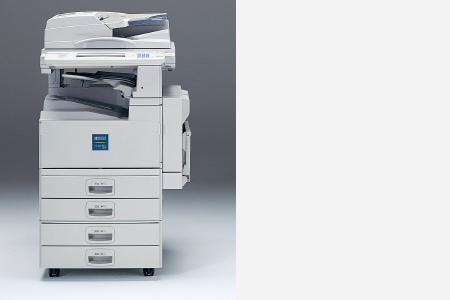 RICOH Pro C900 was launched to pioneer the RICOH Pro series, a new production printer brand. The product was a full-fledged print-on-demand model designed to demonstrate the high-speed, high-productivity capability of achieving 90ppm (A4 landscape) for both color and monochrome copying. It represented the fastest performance model in the category*, and satisfied the high-standards required in commercial production printers, in terms of definition quality, stable performance and reliable operation. Ricoh acquires US based IKON Office Solutions, Inc. a major office equipment distributor. Reconditioning products is an important resource-recycling project at Ricoh. Products are reconditioned mainly by using parts that meet our quality assurance standards. 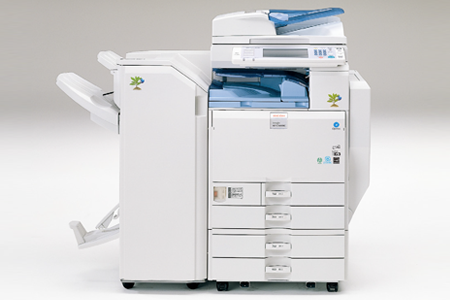 The imagio MP C3500RC/C2500RC series was Ricoh’s first reconditioned digital full-color MFP series. While attaining an average 80% mass content of reused parts, these models met quality standards on par with newly manufactured products*. Ricoh Manufacturing (Thailand) Ltd. begins operations. Ricoh produces the world’s first* biomass toner, to be used in the “imagio MP 6001GP” in Japan. *As a manufacturer’s genuine supply item. The “GXR” world’s first interchangeable unit camera released.